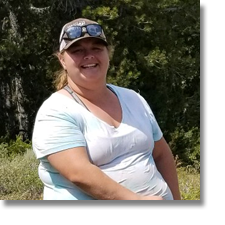 She excelled as a student, becoming involved in the range management club as well as interning in the student pathways program for the forest service. Upon graduating, Kaelie immediately began her career as a Rangeland Management Specialist with the Humboldt-Toiyabe National Forest on the Bridgeport Ranger District in Bridgeport, Ca. Her position requires a diverse skill set, and includes managing grazing permits, monitoring long term plant community trends and endangered species, and creating management plans for invasive weeds.